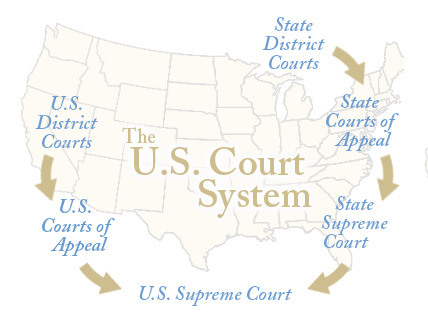 What is the structure of the judicial branch of government? Separation of Powers-principle by which the powers of government are divided among separate branches. Supreme Court rulings can shape government policies on hotly debated issues. Supreme Court Justices have unlimited terms so they can avoid being influenced by outsiders. 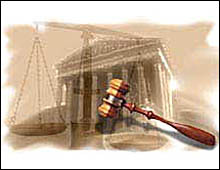 The Supreme Court hears cases involving constitutional issues, treaties, cases involving the United States as a party, cases between two states.